The Interactive Advertising Bureau of SA (IAB SA) is an advertising business organisation that develops industry standards, conducts research, and provides legal support for the online advertising industry. to benefit the industry with a clear code of conduct regarding the use of social media to advertise products and services. The draft Advertising Code of Practice has been led by the IAB SA, The Advertising Regulatory Board (previously the Advertising Standards Authority) and Marketing Mix, in consultation with other industry bodies. Feedback has now been called for on the draft code within the advertising industry. "As always, we as an industry body felt passionate about working on this as an industry collective. I encourage all our members to carefully consider and comment on this groundbreaking document, so it represents an authoritative consensus,” said Paula Hulley, CEO of the IAB SA. This is a code written by the industry, for the industry, which will be objective and representative of all stakeholders. The next step is a continued invitation to invite the industry to comment and share their feedback aligned with the timeline below, where the committee (made up of industry members) will review, amend and consolidate the final code for implementation mid-February 2019. All stakeholders have until 24 January 2019 to submit their feedback and recommendations. Following this, the social code committee will consolidate and implement all relevant feedback. On 7 February 2019, The Advertising Code of Practice Social Media Guidelines will be finalised, with the view of it being in place and managed by the Advertising Regulation Bureau by mid-February. This is a great initiative and supports the efforts of all legislation protecting 'the man in the street' who accesses social media on a constant basis, often not being aware of poor standards of behaviour by unscrupulous marketers. Let me know if you'd like a copy of the draft Guidelines. POPI Act – compliance is important. 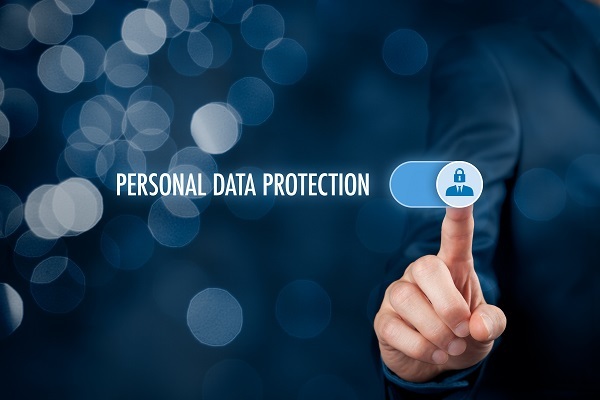 The PoPI Act, in simple terms, seeks to ensure that all South African organisations conduct themselves in a responsible waywhen collecting, processing, storing and sharing personal information which they do not own. The PoPI Act holds business accountable for any abuse or compromise of personal information. a thorough understanding of business processes. When gaining access to, or using personal information acquired through a transactional relationship with a customer or supplier, there is a process to be followed, which ends in the responsible destruction of data. The POPI Act also defines responsible parties as being organisations and suppliers. So we are essentially all required to comply! POPI Act PRINCIPLES relate to good governance. PROCESSING LIMITATION – process only as much as you need and only for as long as necessary. PURPOSE – you need to have a strict purpose in mind. Consider this when re-purposing information or sharing it. QUALITY – ensure that all the info you have is kept up-to-date and is used in a relevant way. OPENNESS – when acquiring information, clearly communicate to the entity providing is, why it will be processed and how. PARTICIPATION – you need to allow the ‘owner’ of the information to be able to access it (this has rarely been a part of holding onto data). ACCOUNTABILITY – whoever acquires and uses the data, is ultimately responsible and accountable for its safe use. SECURITY – there needs to be reasonable protection of personal data by the responsible party. What are the BENEFITS relating to POPI Act compliance? Customer confidence in you or your business’s integrity will be increased. If you ensure quality and security, your database will be reliable and not offend the original owner. Compliance to the POPI Act will result in reduced reputational risk for your business. As with everything, there are some exceptions, including if the info is used purely for household or personal purposes, is used by journalists subscribing to a code of ethics and, of course, when used by the judiciary and/or Criminal & National Security organisations. See our explanatory page on this website for more, or else read the Act for yourself.